All music written and recorded by Sergiy Fjordsson at Moloch studio (Ukraine) between Winter 2008-2009. Inlay photos were made in the woods of Carpathia. 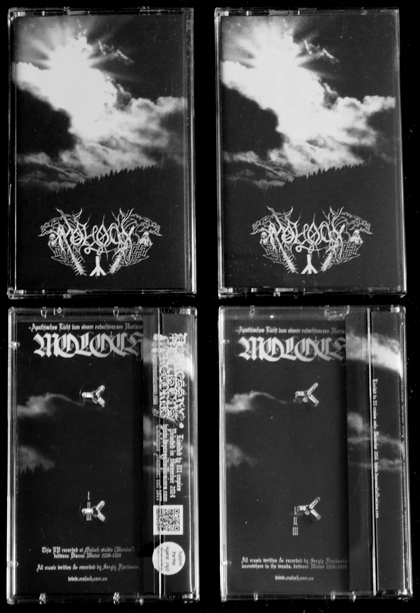 This is cassette edition of Thorn Laceration Records (United Kingdom) in 2010. Limited to 50 copies with 2 sided xerox cover printed on red paper. First 10 copies comes on red cassette with red plastic case. This is cassette edition of Le Crépuscule du Soir Productions (France). Printed in 2011. Limited to 66 copies. Standart clear cassette with 2 sided color pro-cover inlay. 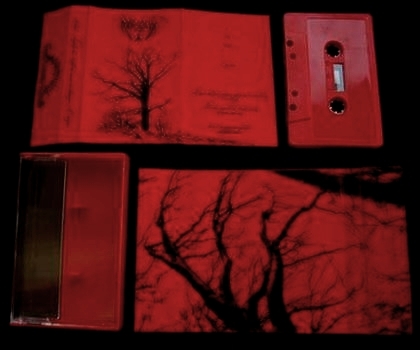 This is cassette edition of Depressive Illusions Records (Ukraine). Printed in 2014. Limited to 111 copies with 2 sided pro-over inlay (exist in 2 versions with minor changes in design). Catalogue number: cut 1877. Here are no Vinyl, Digital and CD editions for this EP at the moment. Digital version wewe available short period of time via Moloch bandcamp page only.